As the title states, since the beginning of me joining euro-land, I have had the focus of playing live. Granted, by live I mean performing for 20 or so close friends at an annual party in the middle of nowhere. So far from official, more of a weekend party where people do some dj sets at all hours of the weekend. So the point of this thread is to get some input from those of you playing live. Types of music wanting to play? Probably start out with some slower more ambient sounds, moving into more of a minimal techno like pace. Probably build towards a more driving techno sound towards the end to set up someone playing a more upbeat house set afterwards. - How much do you recommend having pre planned? Usually when i'm noodling around I get some great sounds, get in the zone and kind of noodle around with it and then move on. I can imagine having some sequences stored on the mother to vary up some bass lines, have different drum and gate sequences on the circadian and a lot of live manipulation with the metropolis. - Any modules you think that are absolutely necessary for playing live? I am not locked into this 12U by any means. realistically i'll end at 18U. I think a rosie would be nice to listen to sounds before bringing them into the mix. 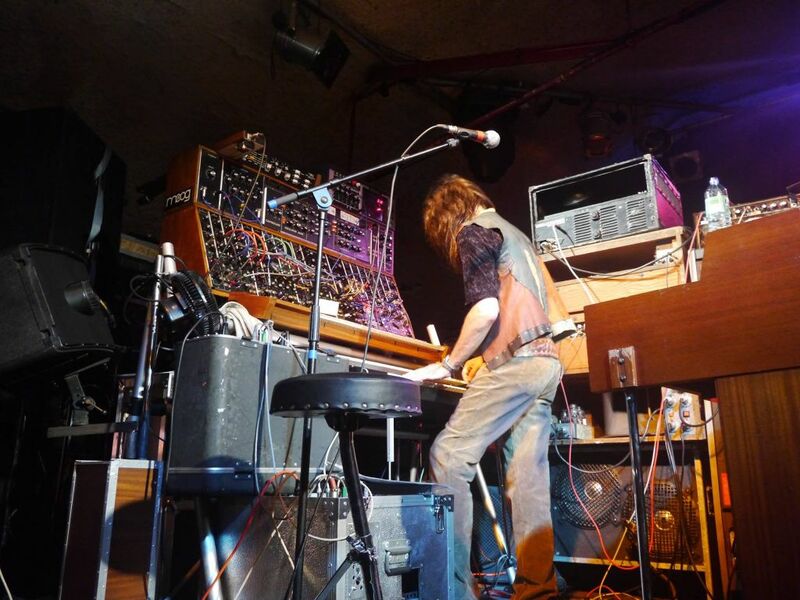 - Future adds: a delay(chronoblob or 4ms), sampler (4ms) and possibly the sputnik keyboard. Definitely need some more mixers and vca's. Wouldn't mind a filter or two more. Thanks for any tips/tricks/comments you may have. Hopefully this can be a fun discussion on sharing our hobby (yes, for me it's just a hobby) with others in a live setting. 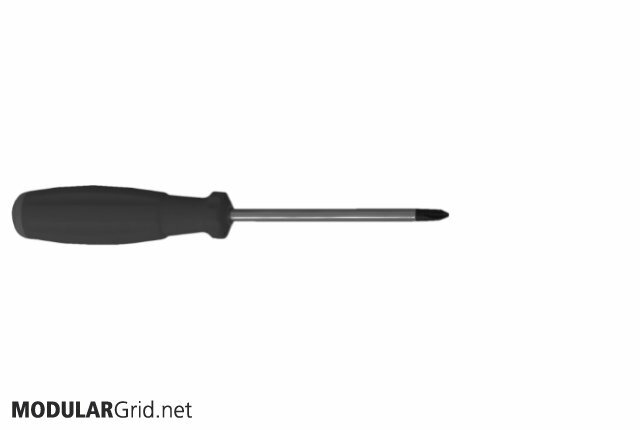 -Tactile modules like joysticks/ fsr's/ touch plates / manual gates etc. Ahh, mutes and switches. Definitely super useful. Love the circadian mutes for bringing drum sounds in and out. Also a nice feature of the PEG and QPLFO is the mutes, for bring in modulation. I'll have to take a look at the mutamix. its always been very impromptu, although when i got a BSP, i did try to pre-load some very basic bass and drum sequences prior to each performance. last time, my BSP shat the bed right as i was setting up (power connector is fucked), and i forgot my "control surface" rack (https://www.modulargrid.net/e/racks/view/196041), so i was only left with my 6U performance case (https://www.modulargrid.net/e/racks/view/206719) and my little acid drum case (https://www.modulargrid.net/e/racks/view/192955). it was still a lot of fun. -set up multiple drum sequencers (BSP, grids, zularic) and feed various parts into a short bus to bring different sequenced parts in & out. great for bass parts, too! -use random sources to modulate VCAs, filters, effects parameters, etc. after that, its generally experimentation until something clicks, then working around that. we usually jam for anywhere from 15-30 minutes, then smoke some herb, chill, pee, etc., go back and tear it all down and start over. we often repeat for about 4 hours. i would definitely recommend at least one or two LPG's- they are a lot of fun for the rhythmic/funky stuff i do. the dplpg's are an awesome way to add some great sounding pings with minimal HP. First I would move the bottom row into a skiff to sit in front of the rig. Those look like the modules you would "play" more than the others. Getting them in a skiff facing upwards makes a control surface and makes it much easier to use. Think about some WAV playing modules. Make complex textures with the whole rig and burn them to media and then play them through the rig as complex VCOs, makes easy spaces to go to that are modifiable and jamm-able to play against. I'm not talking about whole tracks or DJ loops but raw textures that are complex but free up a bunch of the rig to do other things. A programmer helps to, giving you a tweak able set of parameters to play with live but allows you to jump back to a set of settings that you used earlier, finishing off a set this way is a very good way to show the crowd that you are in control, and not the machine. Think about some WAV playing modules. good point. i use my radio music thing often. its great for filling in spaces between more active parts. i usually run radio dialogue or speech through clouds or erbe-verb for effect and to give you something to tweak. Set up all your patterns ahead of time in the metropolis and m32, and drums in the circadian of course. Get a couple RadioMusics set up like how James suggested. Then try to map out the various stages of your planned set and whatever else you're missing should shake out. I also have a CR, so I like to layout drum beats ahead of time. During the live performance I'll usually enable D mode, and ef with the reset. I also lay down rhythm melodies on a sequencer 1 and use it's random modes to make things interesting. From there I'll use a rene for complete improv. This kind of gives things a structured, yet dynamic feel. You have more than enough to keep producing interesting sounds for some time. Cueing from a rosie is something I haven't thought about but that could be useful. I usually just go with whatever happens. I play my modular on gigs whenever I have one, but some of the modules break a lot. I've done a gig with just phonogene, lfo and noise boxes because of this reason. I have gathered from experience you should have few back up plans and ideal structure for the set. You don't have to play the planned out set, but if you can't jam out anything usable or good, you can fall back to the planned out one. I like to have audio files for the start, few for middle and for the ending, they can be just speech or then some droney melodies you can play noise above it. I have 4 oscillators so I can make it without audio, but it's good to have a lot of options open. I have just a 9U rack and I can play for 15-60 minutes, I even have modules on it that I don't use atm and a lot more modules collecting dust somewhere around the house. This is already kind of long text, but I use Phonogene, Echophon, Clouds and Elements the most, kind of a casual combo I guess. but some of the modules break a lot. Can you elaborate on this a bit? Which modules, what case were you using...back in the pick up truck or nicely strapped into the back of the lincoln? I have friends who can play all night with a 9U rig but I usually will get 10-15 minutes a patch so far. The more I play, the longer I go. One of my modular mentors tells me to draw my performances out longer - that I get tired of what I'm doing before the audience does. He suggests letting ideas run for at least twice as long as I think they should go. I come from a more pop music background, so I'm always looking for the next part of the song. It's a matter of preference, but when I'm invited to play, I pre-patch my sets at home and perform them live. I prefer East Coast style modular and tend to try and create a live improvised song from a number of different sounds and sequences that I create at home. The performance may include some live patching, but usually I'm manipulating modules and other gear and mixing sounds to create the song from the sounds and sequences. For open-mic performances, I will usually patch live and I'll experiment with different gear a lot more. It's my chance to take all the risks I want, and I take advantage of the opportunity. You can't really make a mistake in that environment since the audience is the performers and we're all trying new things. Most of the posters here have given good advice. My only personal recommendations are to make sure your sync is tight and you have some control modules for triggering and adjusting sound and sequence parameters on the fly. I love Frames for that purpose, and I have a couple of new Trogotronic M/11 switch modules that do similar things. I'm a big Rosie fan, but not to cue and listen to other things before bringing them in. It's usually way too noisy and things are happening too fast for that. I use it to switch between two completely different sounds/sequences that are happing at the same time. I can play the cue knob like a DJ fader between two patches which allows a lot of creative improvisation. I use the 1/4" stereo line output straight into my mixer [via a Kaoss pad] with an insert cable. Here's a link to a part of a Youtube video that shows how I use it. I also like the effect send/return and sometimes I'll use the return inputs for additional mixer channels. The only other must-have module for me is a Pamela's Workout for sync and clocking purposes. I like your setup and the only module I would suggest is an A-151 sequential switch to get the full 12 steps out of the pressure points - both as a sequencer and a modulator expander. Ditch the MN Mult and it will be perfect there. I'm at 21U and I don't want to go beyond that. It's nice to have a lot of modules to pick from, but having more U isn't everything and can become a liability at some point. I want my system to stay portable, and I'm just about at my limit. I really admire and envy the guys who make amazing music with only 9U. I'm hoping that having more U will allow me to perform much longer sets in the future as I improve my skills. Yes, yes (look at Clouds) and maybe. I feel the modular keyboards leave a lot to be desired and take up a lot of valuable rack space. I'd suggest using your HP for other modules, and get an external CV/Gate keyboard of a suitable flavor - maybe an SH-101 or a Minibrute or ??? I'm putting together a show which I hope can with above average beer sales, become a monthly thing. The idea is get three performers set up and do a 15 minute round robin. So, the first person goes, gets a patch dialed in with a couple voices that can be crossfaded than after 15 min the next person crossfades in and takes over. This leaves person 1 with a 1/2 hour to get the next patch ready, get a refreshment or whatever. Meanwhile I have a film maker friend curating the visual end. @memes_33 lets hook up a trans Bay cultural exchange. Thats a cool idea. By chance you in NYC? I'd love to show up to that. Some really great info you guys have given me. Lots to think about. Here is where I am at with my rack, a lot of changes, and some still in the mail haha. Anyways, here is a recording from the weekend. It was my first weekend with a beatstep pro. Felt like that was a good way to save some structures to work with in a live setting. Since one generally has so little time between songs (if any), I'm assuming that with 21U it's possible to effectively break a 21U synth into sections with various kinds of switches and configurable mixers. So in effect you'd have created multiple synths that you can switch between. 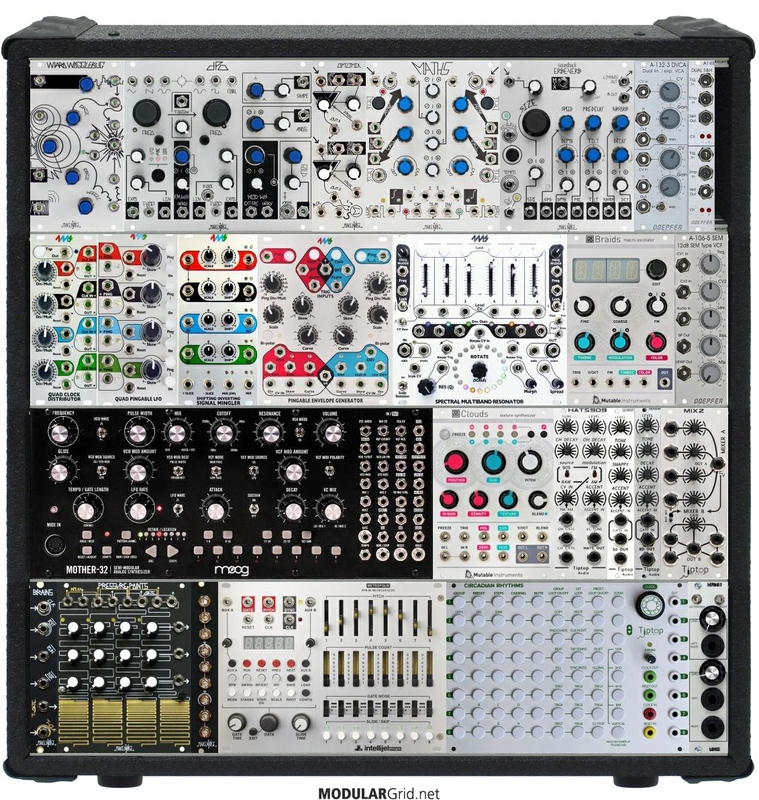 I guess what I'm curious about is how to "modularise a modular" without resorting to enormous expenditure, i.e., effectively buying several synths' worth of kit. 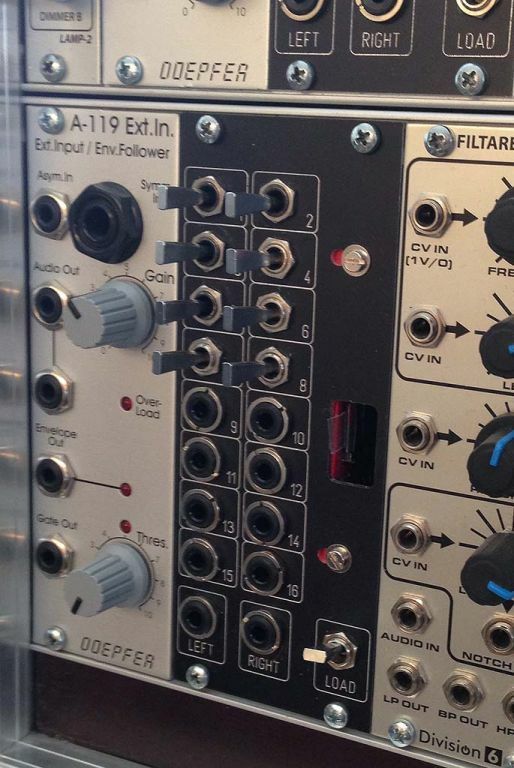 My current setup can be found on modular Grid at Barkhausen Eurorack. Barkhausen: Long Lasting Happiness (too long). Nice work on this set! 100% live set. Recorded in 1 take. No post processing. Equipment: Modular system with Braids and Malekko Richter Osc 2 as sound sources with Metropolis sequencing and Peaks providing LFO all through a SE 4075 arp2600 filter. Master clock, samples and drums from Analog Rytm, Oberheim SEM comes in around 6:50 and Sh101 near the end... Enjoy!